Has it ever crossed your mind that the International Forestry Students’ Symposium 2018 could be held in your country? 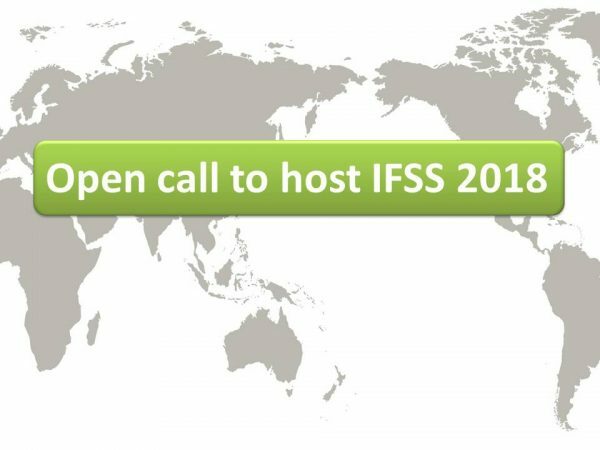 This is an Open Call for all IFSA members to consider this opportunity. You could share with foresters from all over the world the beauties of forestry in your area — your traditions, knowledge, landscapes, and more! The International Forestry Student’s Symposium (IFSS) is the biggest annual IFSA event. Each year, this two-week event is attended by (usually) over a hundred students from all over the world. The symposium provides an opportunity for students to exchange knowledge and share interests while participating in a range of forestry activities. During the Symposium, the IFSA General Assembly (GA) takes place, where different proposals collected through diverse commission and working groups are discussed, and the elections of IFSA positions for the next year are also held. Throughout the Symposium, students travel to different regions of the host country. By doing this, students can obtain a global perspective of all the uses, traditions, development and culture of the visited places. IFSS serves as a tool to introduce students to a wide range of research centers and forestry companies. In addition, several state-of-the-art conferences are conducted by researchers and environmental entities’ personnel. Students can also participate in workshops to develop personal and professional skills, and in multicultural meetings where all the participants can share the state of the forestry industry in their respective countries framed by different regional traditions. It is possible for your Local Committee (LC) to join a nearby LC in your Region to work together in this, as long as the distances are not too long to keep this realistic. Those who are interested in hosting the event have until Thursday, August 11, 5 pm GMT-5 to send in an overview, with a tentative itinerary and programme, as well as possible dates. The proposals will be presented in the 27th General Assembly in the International Forestry Students’ Symposium’s 3rd Plenary Session in Austria, so if you will be unable to attend, please send in your presentation (in whichever form you prefer- video, PowerPoint, etc.) before the indicated deadline. If you are attending IFSS 2016, you will be given the chance to nominate your LC until the 3rd Plenary Session on the 14th of August.